As reported in the February 2012 IBS-AR newsletter, the Australasian Region of the International Biometric Society created the ‘ALF’ award, named after E.A. (Alf) Cornish who was the first (vice-) president of the Australasian Region, from 1948-1950, and IBS President during 1956-1957. More information about Alf’s career is here. 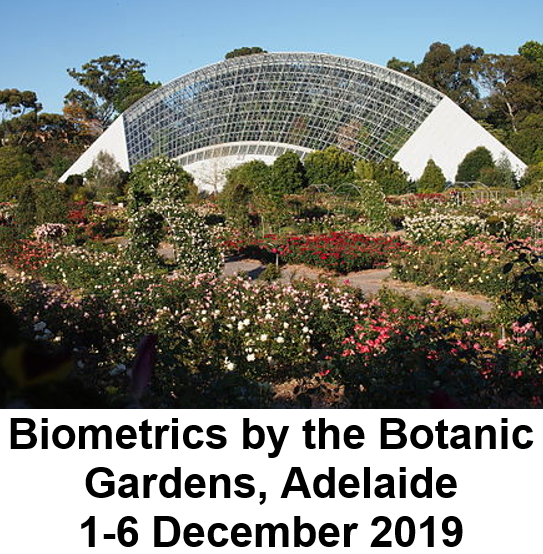 The award is for recognition of a member in the Australasian Region who has given ‘longtime’ service to the Biometric Society and to the advancement of biometry. Members are invited to submit an application to the Secretary with the nomination of a member who may be eligible to be considered. The closing date for nominations is three months before the starting date of our biennial conferences, typically about the end of August. The two 2017 awardees, Alan Welsh and Warren Muller, were announced by Samuel Müller, President, at the regional conference (Biometrics by the Border) dinner on Wednesday 29 November, 2017. Congratulations!